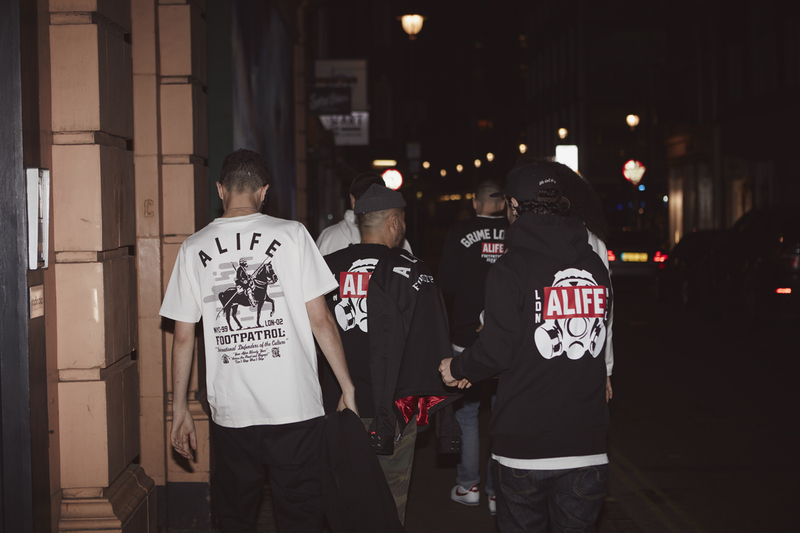 Better known today as a streetwear brand, ALIFE started life as a sneaker boutique in New York City. 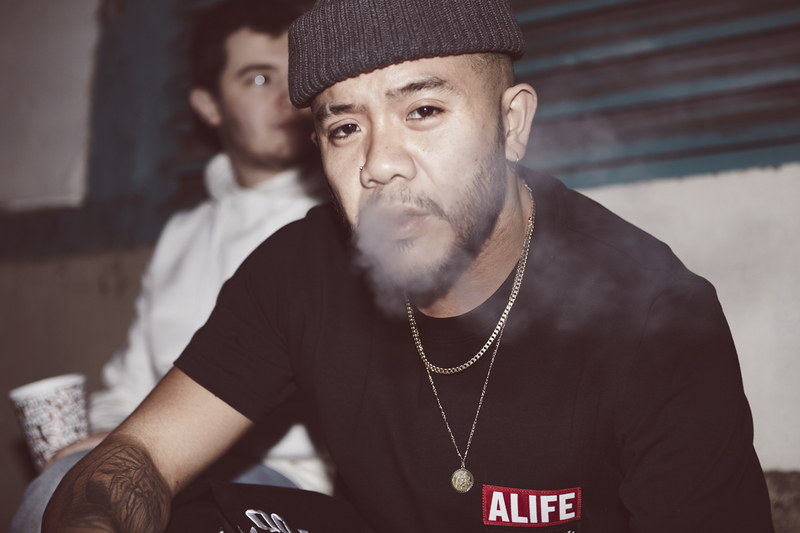 They actually claim to be the first ever sneaker boutique – read about that in our interview with Jesse from ALIFE from earlier this year. Footpatrol on the other hand and still firmly rooted in sneaker territory. 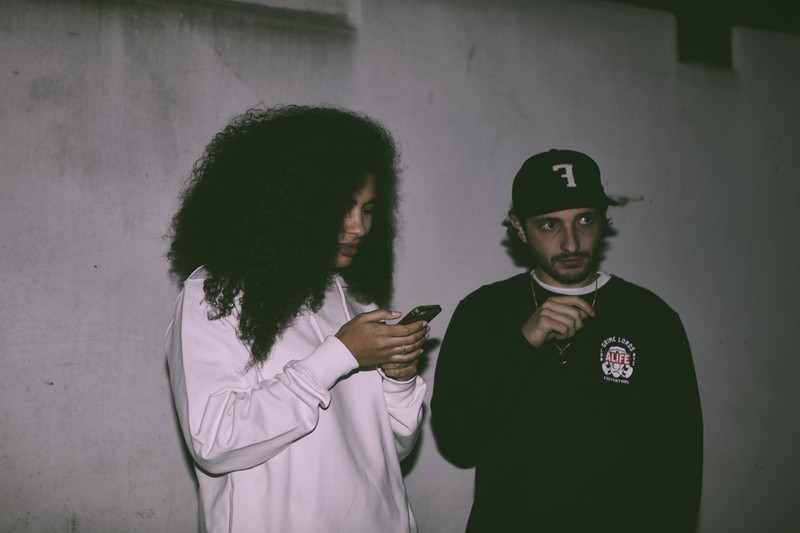 The duo have come together to show their mutual affection with this capsule collection featuring hoodies, tees and jackets. 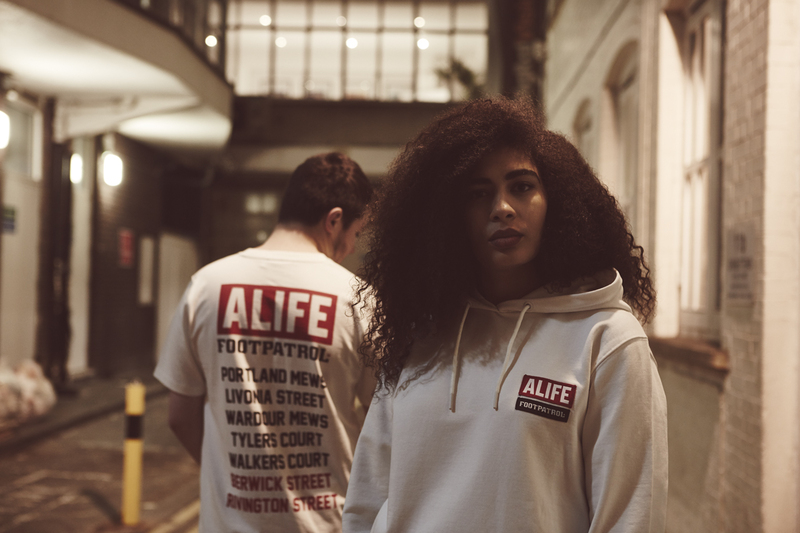 All the garments are inspired by the local surroundings to both stores, with the ‘Alley’ tee featuring streets from London’s Soho for example. 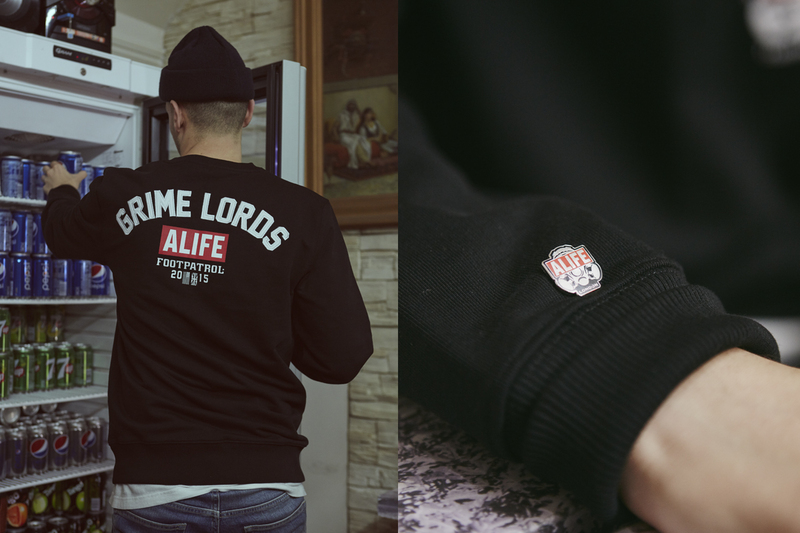 It’s nice to see the two brands coming together to produce a collection, especially after they collaborated on the first London ALIFE Session last year. The collection drops at Footpatrol on Friday 13th November.